With gold prices topping $1000.00 plus per oz., one has to question, is now the time to buy gold or has the buying opportunity already passed? Should you invest in the actual commodity of gold itself or is there an alternative that could prove to be more profitable? The rise in gold prices from $250 per ounce in 2001 to over $900 today has drawn investors and speculators into the precious metals market. However, buying gold per se should not be considered an “investment”. After all, gold earns no interest and its quality never changes. It’s static, and does not grow as sound investments should. 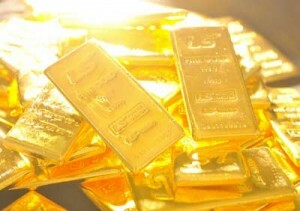 “It’s more accurate to say that one might invest in a gold or silver mining company, where management, labor costs, and the nature of new discoveries all play a vital role in determining the quality of the investment and the profits made.”, stated Congressman Ron Paul (TX-R) in his address before the U.S. House of Representatives. Many believe the United States is the cause of the global financial crisis we are currently experiencing and consequently, they are looking to the US to provide leadership in escaping this crisis. The US Dollar is currently experiencing strength over other currencies because it is presumed that since we are leading the pack with recovery initiatives, it stands to reason that our economy will recover before those who are following our lead. China, for example, is planning their own $586 billion stimulus package, which by the way, they can afford. To date, the U.S. Treasury and Hillary Clinton have been successful at convincing foreign lenders, China being one of them, to support our spending habits. However, at some point, these foreign lenders are going to tire of supporting our spending habits and focus on their own internal recovery. The Chinese leaders recently stated “We hate you” in reference to the United States, but, at the same time, they fear the potential global ramifications of not lending to the US and causing a worldwide collapse in all currencies. With the TRILLIONS of dollars in new spending that the Obama Administration has proposed or already signed into Law, how much longer do you really think these foreign governments are going to tolerate our irresponsible behavior and continue lending to us? When the foreign lenders have finally decided they have had enough of our irresponsible and destructive fiscal policies, they will cut us off. At that time, our Central Bank will have no alternative other than to start printing paper. The more paper it prints, the more devalued the dollar becomes, which in turn diminishes the purchasing power. Eventually, we will find ourselves in a situation of hyperinflation and the net effect will be skyrocketing gold prices.